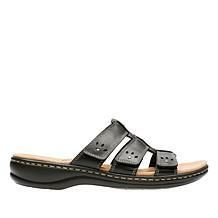 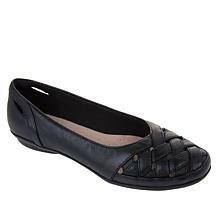 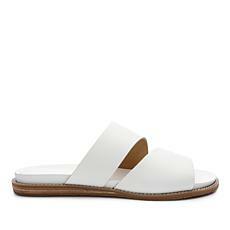 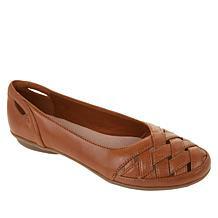 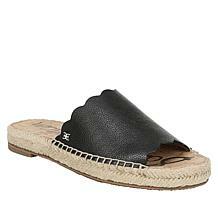 Leather slide sandals are a perfect choice for warm summer days. 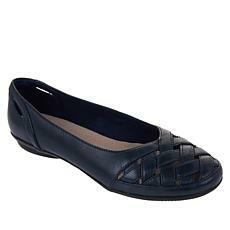 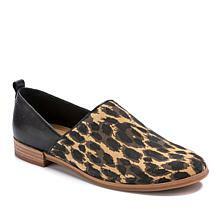 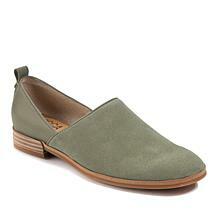 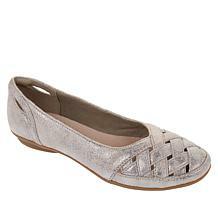 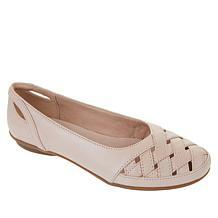 Easy to slip on and off, this HSN collection will keep you on the move. 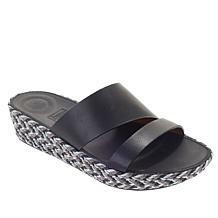 Circulate from garden to house with ease at a BBQ party, or hop in and out of the water for a paddle at the beach or lake. 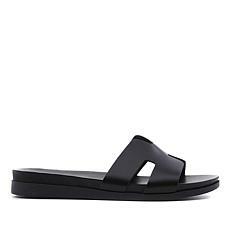 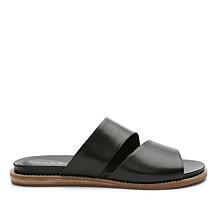 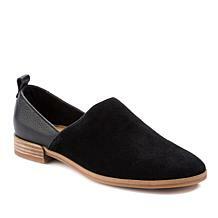 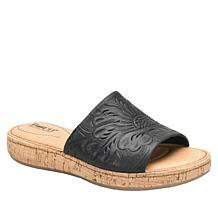 Leather slide sandals can be paired with shorts or pants for a casual look, or with a dress for a smarter party or event. 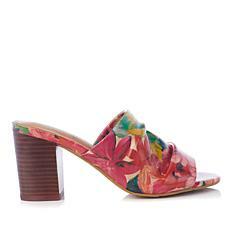 They are both stylish and versatile, so why not add a pair to your wardrobe? 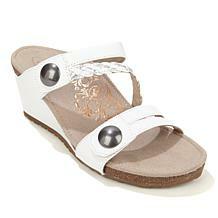 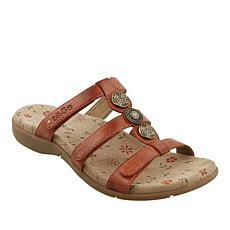 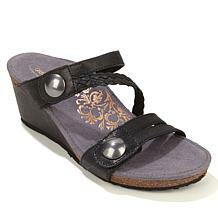 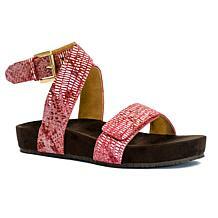 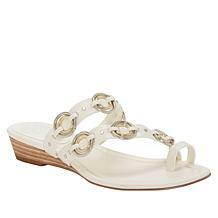 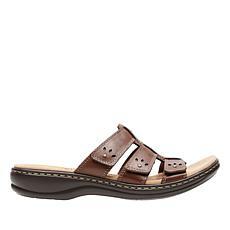 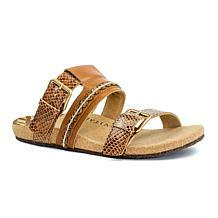 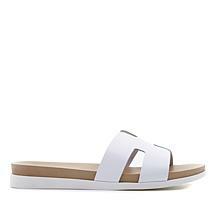 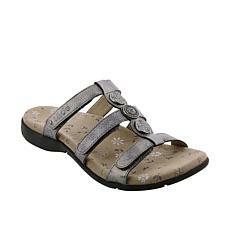 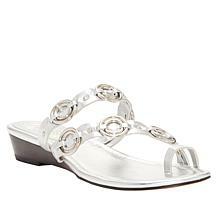 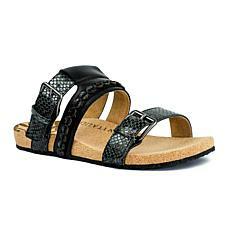 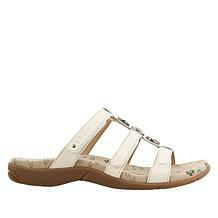 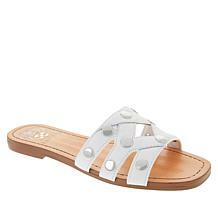 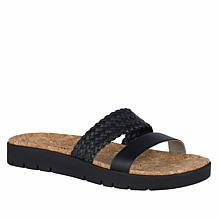 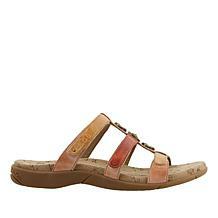 At HSN, there is a vast selection of styles and colors of these sandals from which to choose. 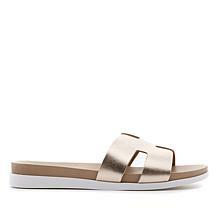 Try classic brown or black with a sturdy sole for days spent on your feet, or something more dainty in silver or pink for a special lunch with the girls. 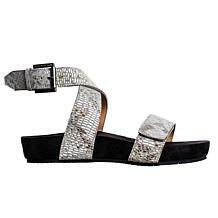 Add some fun and a focal point to your outfit with an animal print pair, or sandals with colorful or sparkling embellishments. 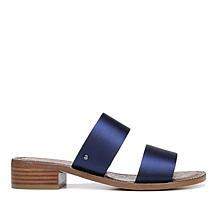 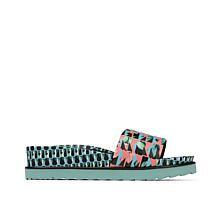 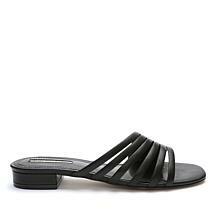 Available with heels or as wedges, and even as a fitness shoe, there really is a pair of leather slide sandals to suit your schedule and match your style. 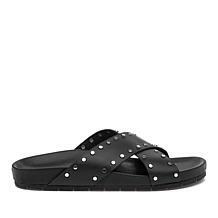 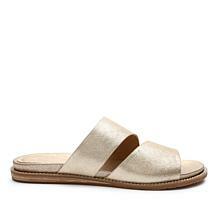 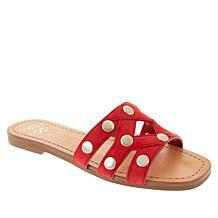 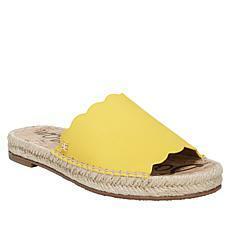 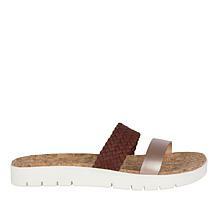 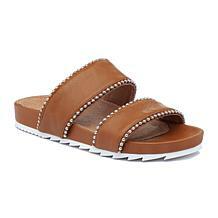 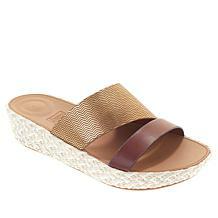 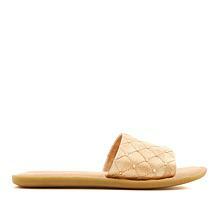 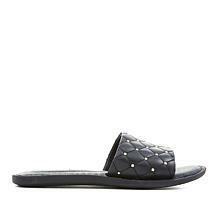 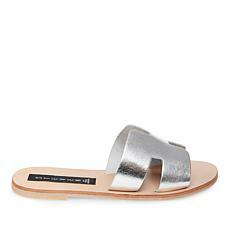 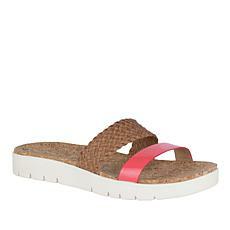 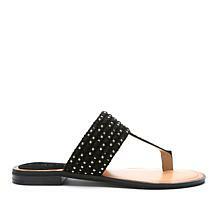 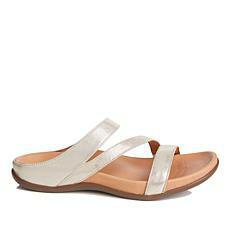 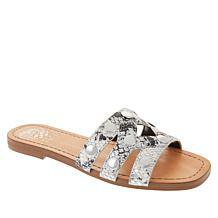 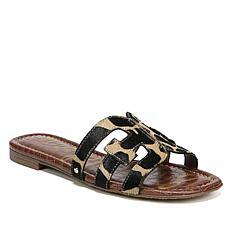 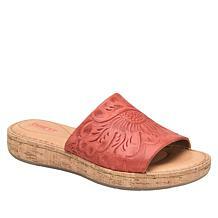 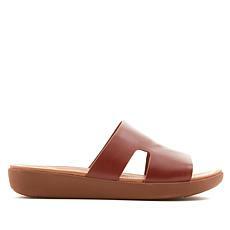 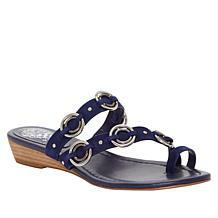 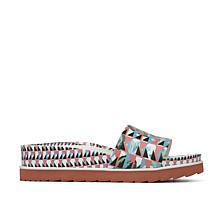 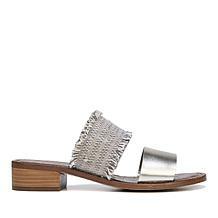 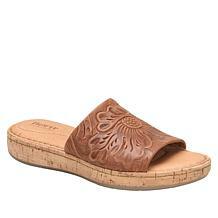 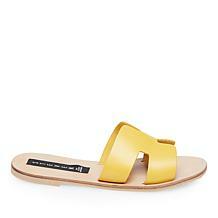 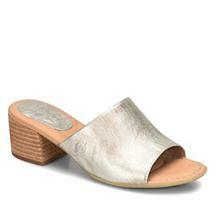 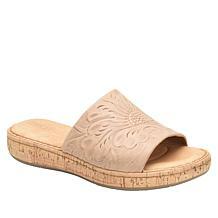 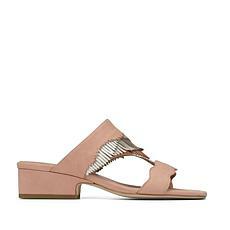 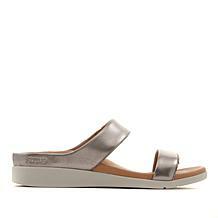 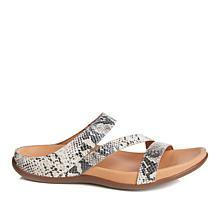 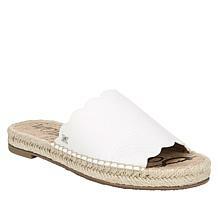 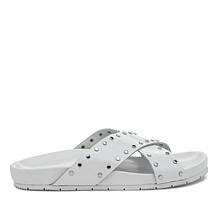 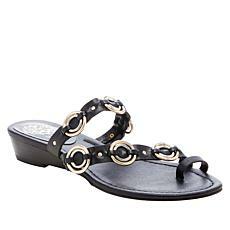 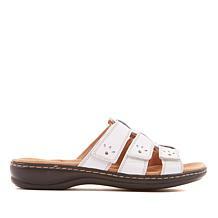 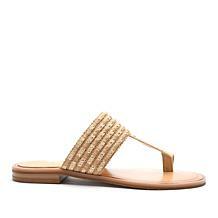 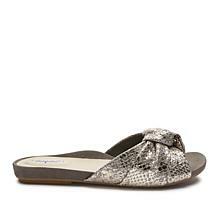 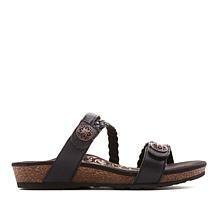 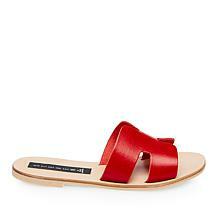 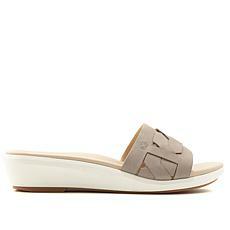 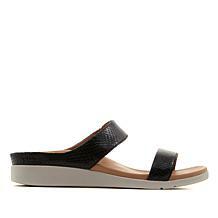 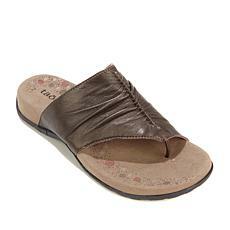 Sam Edelman Asha Leather Slide Sandal From to chill to chic. 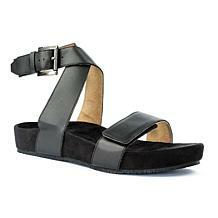 This lounge-inspired sandal reflects an edgy profile thanks to the ball-chain trim. 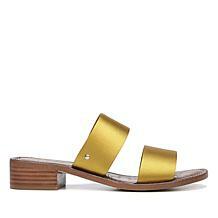 Pair it with trousers and tanks, nostalgic frocks and with all your spring and summer shorts. 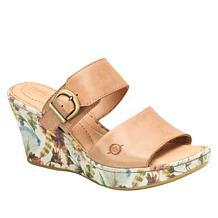 From early spring to late summer, and all the moments in between ... this sandal signals a welcome to warm weather. 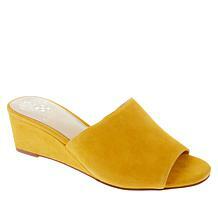 Pair it with dresses, slacks and your favorite shorts and skirts. 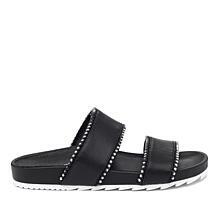 A slide that signals ultimate chic. 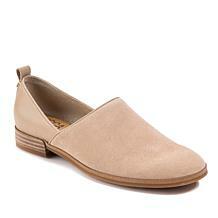 Genuine haircalf uppers make this your warm-weather go to ... you'll never want to leave them off your feet. 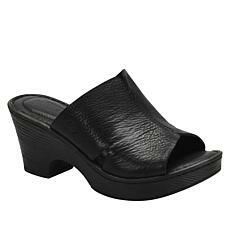 As much as we all love high heels, tall boots and dress sandals, the reality of wearing them all day can be a bit uncomfortable. Enter Tahari's Lass flat. 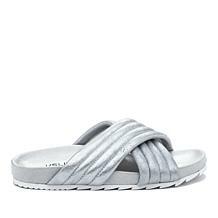 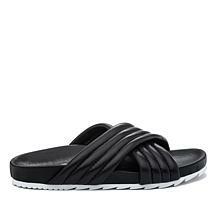 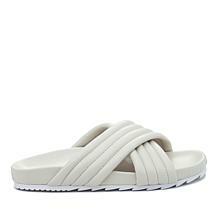 This easy slide has the style you want with the comfort you need. Revitalign Breezy Slide Sandal Take your style to new heights without ever sacrificing comfort, fashion, or flair. 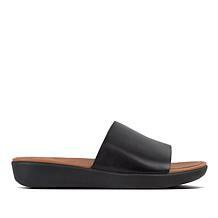 This style provides you all day comfort with a modern twist and features our contoured footbed technology which is designed to support your foot and promote proper foot alignment. 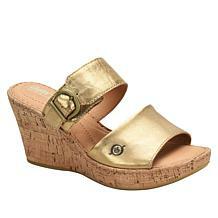 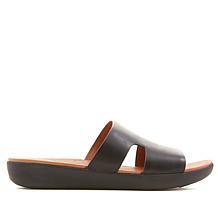 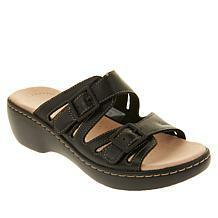 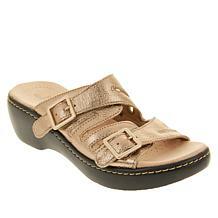 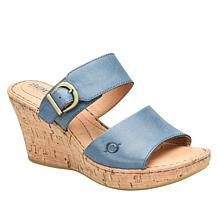 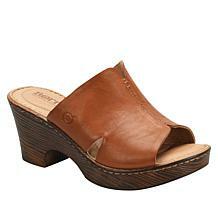 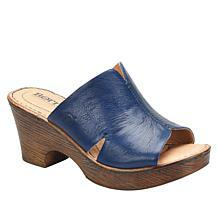 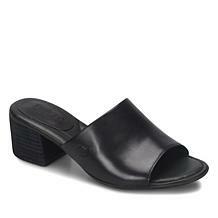 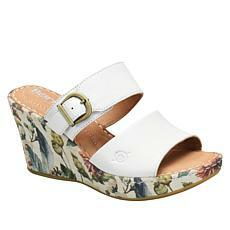 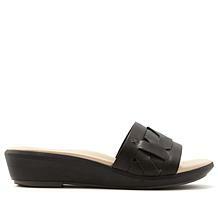 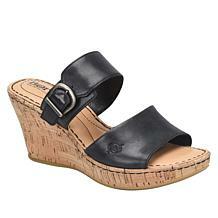 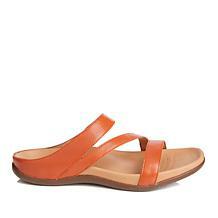 Enjoy vacation versatility with this leather demi-wedge sandal. 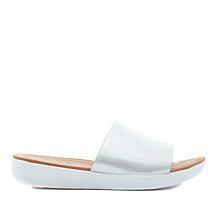 The effortless slide silhouette goes with everything in your suitcase.